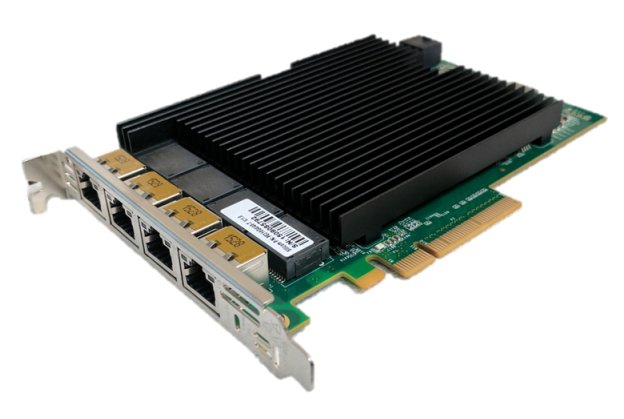 The Small Tree Intel-based P3E10G-4-T server card allows you to connect your Mac systems to 10 Gigabit Ethernet capable switches and storage devices. The P3E10G-4-T card will provide an immediate performance increase on large transfers, especially when using jumbo frames. Optimized queues: 32 Transmit (Tx) and 64 Receive (Rx) per port Network packet handling without waiting or buffer overflow. System Requirements Intel-based Mac Pro with PCI Express or Xserve Mac OS X 10.7.5 or later. Height of end bracket PCI Express standard is 12 cm (4.725 in).